Saint Patrick was a missionary and bishop in Ireland during the 5th century. Born in AD 385, Patrick knew that he was destined for great things. When he was sixteen years old, Patrick was kidnapped by Irish Raiders and taken into slavery. According to The Declaration (not of Independence- that came later — this was more of an autobiography-type-thing that Saint P wrote himself), God told Patrick to flee to the coast (because even back then, everybody wanted to live “on the coast), where a ship would be waiting to take him back home. According to legend, that’s exactly what happened. When “P” got back home, he became a priest and allegedly led “thousands” of his countrymen (and women) to Christ. More importantly than eternal salvation, however, was the fact that Saint Patrick and his titular day allow us all to feel a little less guilty about drinking all of the alcohols. Saint Patrick’s Day was made an official Christian Holiday in the early 17th Century. It takes place on March 17th, the day Saint Patrick died, and it was originally recognized as a Christian Feast day. This meant that Lenten Restrictions (think Prohibition) on eating and drinking were lifted for the day; which signified just one thing — it was about to get silly, y’all! That being said, for those among you who choose to stay in on Saint Patrick’s very own day, we have compiled a short list of the 5 Best Irish Movies to Watch This Saint Patrick’s Day. So grab a bowl of Lucky Charms, a pint of Guinness and a shot of Jameson, because we’re about to go green but not in an annoying way. Starting things off is this musical from director John Carney. 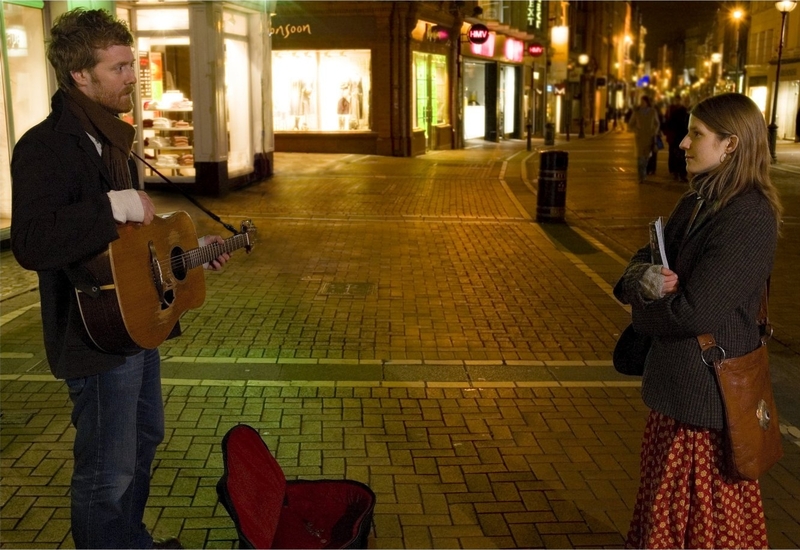 Once stars Glen Hansard and Marketa Irglova as two musicians in Ireland, just trying to make it. Hansard is a vacuum repairman (or, as he puts it, a Broken Hearted Hoover Fixer Sucker Guy) and Irglova is a woman who sells flowers. Total dream job, by the way. The two meet and have an instant connection, formed by their mutual love of making music. They decide to collaborate on a record and as they attempt to further their careers they also, arguably, fall in love with each other. It doesn’t have a typical “happy ending,” but that’s the beauty of this film. Some people meet and love each other forever. Others? Well, sometimes others fall slowly and only love once. The Boondock Saints is a folk tale, not unlike those told in pubs back in Dublin. 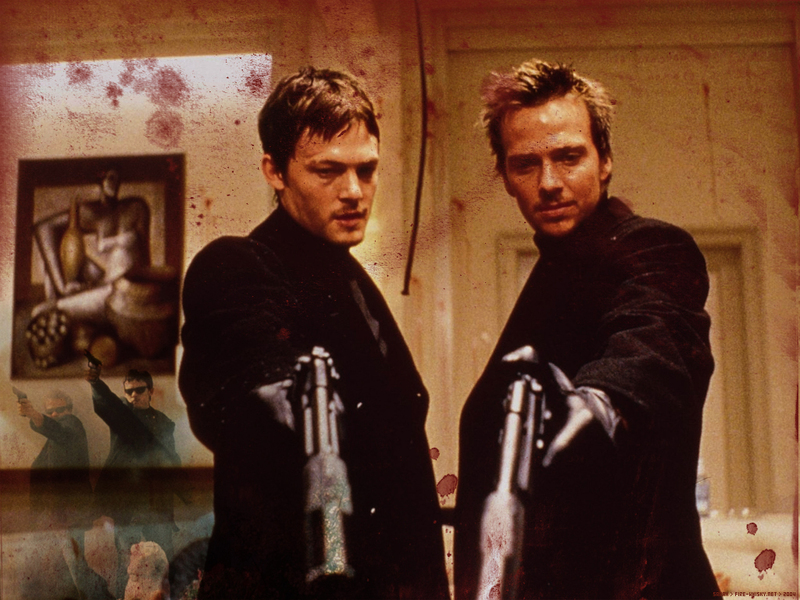 It tells the story of two Irish Catholic twin brothers named Conner (Sean Patrick Flannery) and Murphy (Norman “Daryl” Reedus) who are tired of crime running rampant in their hometown of Boston. The two realize police are of very little help, so they decide to take justice into their own hands. The MacManus brothers go on a two-man vigilante killing spree, wiping out crime bosses all over town. While their fellow countrymen adore them, a bizarre FBI agent named Detective Smecker (Willem Dafoe) is hot on their trails, determined to bring them to justice of their own. Boondock Saints is the epitome of a cult classic. The story behind the creation of the film is just as fascinating as the movie itself, too. It was written and directed by a first-timer named Troy Duffy. Duffy knew he had a good movie on his hands when he wrote it. What he didn’t know was that The Boondock Saints would go on to become one of the most beloved Irish movies of all time. We debated between this film and Ben Affleck’s The Town, because they’re more or less the same movie. In the end, we opted for this Scorsese-directed film, because it was directed by Scorsese. And it also starred Jack Nicholson, Leonardo DiCaprio, Matt Damon, Mark Wahlberg, Vera Farmiga, Charlie Sheen and more. If the cast wasn’t enough to knock your boots off, the story certainly will. Billy Costigan (DiCaprio) is a South Boston cop who isn’t actually very good. So he goes undercover to infiltrate a notorious gang, led by Frank Costello (Nicholson). Simultaneously, Costello’s mole (Damon) has also infiltrated the Boston PD and the two men find themselves on opposite-but-also-the-same-sides of the fence. It’s a race to find out who makes who, and at the center of it is Nicholson’s character, who just might be the evilest character Nicholson has ever played! 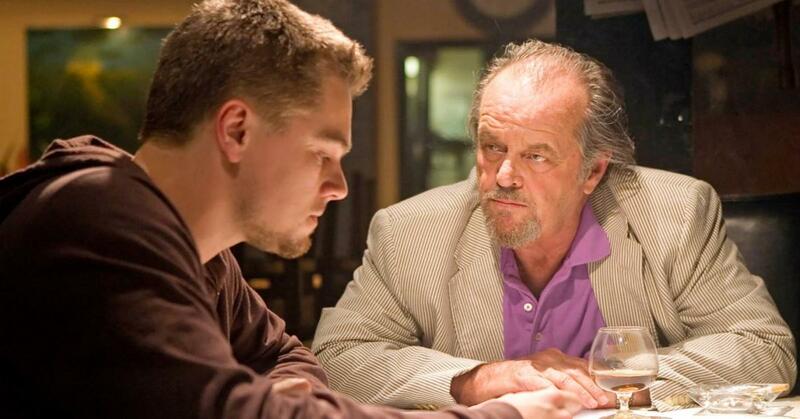 The Departed won the Academy Award for Best Picture, and it’s easy to see why. Goodfellas made you want to be a gangster. The Departed made you want to be a gangster playing a cop. Or a cop playing a gangster. Or whatever Mark Wahlberg was. He’s the real hero of this film. Could it be anything other than this 90’s horror classic? Of course, we use the term ‘classic’ lightly. 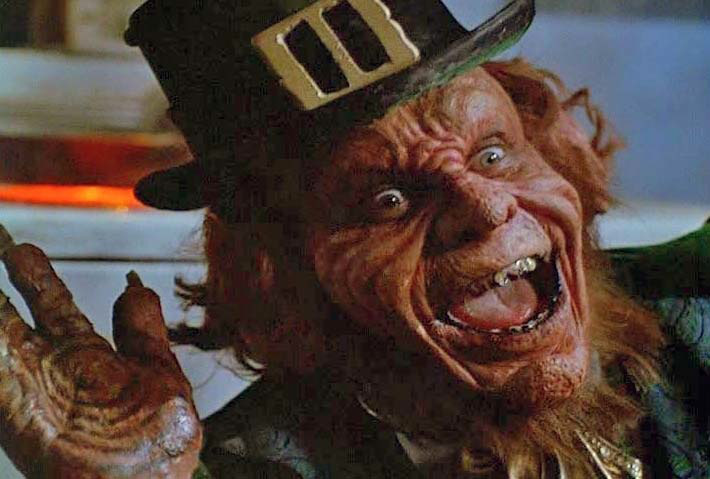 Leprechaun is about, um, a leprechaun who is evil and is trying to get his gold back from Jennifer Aniston and Francis from Pee Wee’s Big Adventure. The titular character is played by Warwick Davis, who would go on to reprise the role in about 40 sequels. None can match the fun of the original, however. 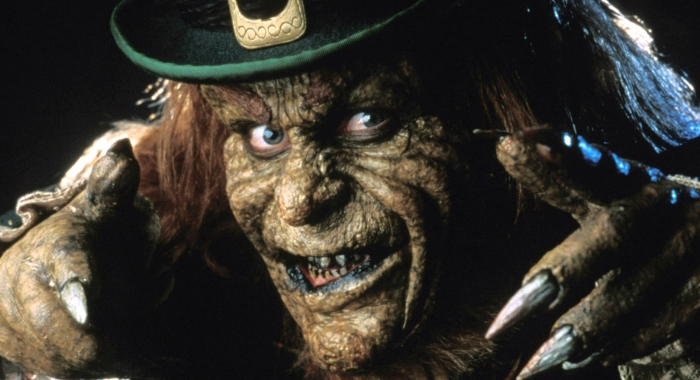 If there’s one movie you should be watching on Saint Patrick’s Day, it’s Leprechaun. Or Leprechaun 2, Leprechaun 3, Leprechaun 4: In Space, Leprechaun in the Hood, Leprechaun: Back to the Hood. Not you, Leprechaun Origins. Or Leprechaun Returns.